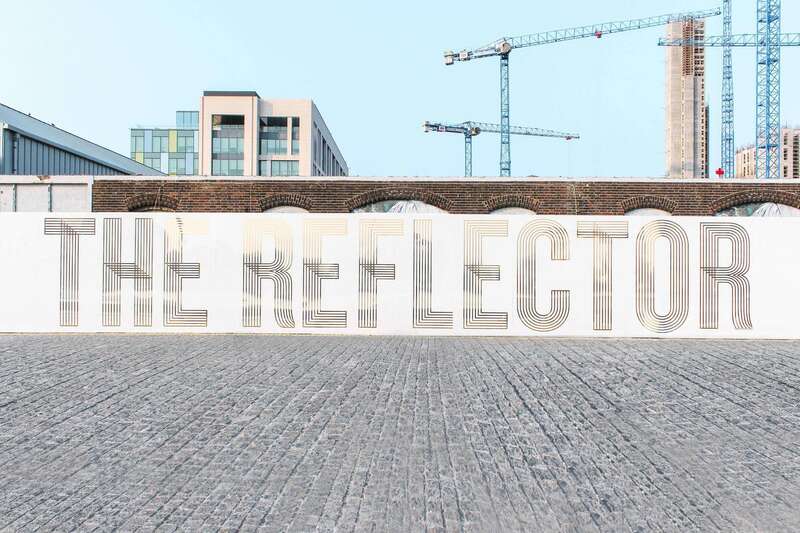 The Reflector is a landmark office and residential development situated in Dublin’s Grand Canal Dock. Given it’s waterfront location and impressive size, we felt it needed a name distinctive from it’s address of 8 Hanover Quay. The Reflector name takes it’s cue from both it’s water views and also the architects’ vision for the building with it’s proposed panels of light reflecting material. We worked closely with Park Developments and agent Savills to bring this waterfront living concept to life through it’s identity and corresponding promotional material including website, video, hoarding and 64 page, cloth covered brochure which was specially printed and foiled in Holland.